is a whey protein concentrate obtained in a low temperature process, thus maintains high nutritional value and bioavailability. This is a very important issue when we want to supply muscle cells with amino acids, for example after intensive exercise, or with increased protein requirements. Whey protein concentrate is a great supplement to your daily diet. 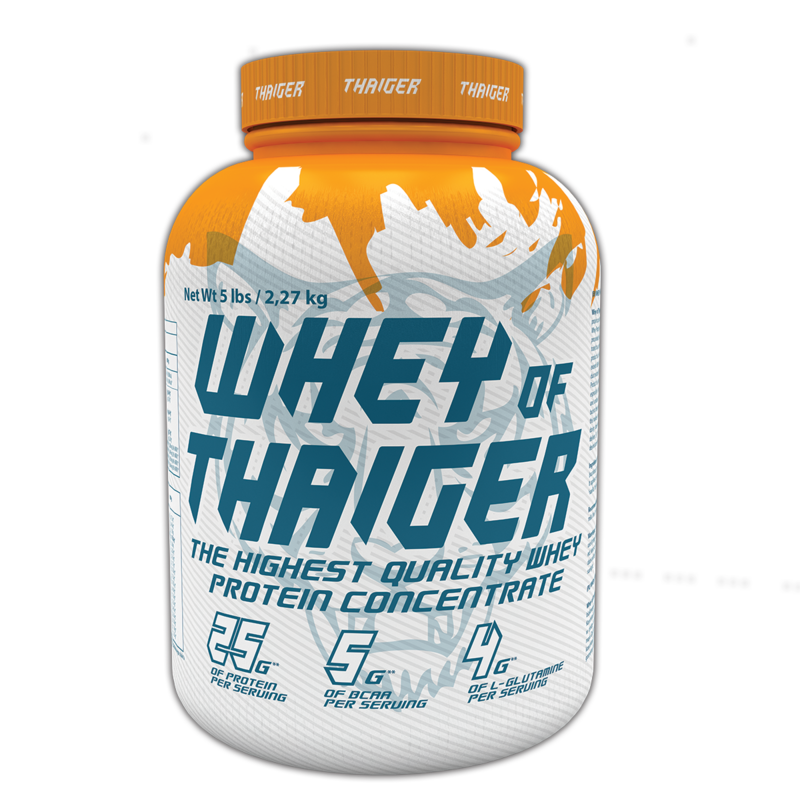 THAIGER Whey Protein significantly shortens regeneration time after intensive exercise, and convalescence after illness or injury. The process of effective muscle regeneration and restoration, requires adequate amounts of high quality proteins. HEADQUATER: THAIGER NUTRACEUTICALS EUROPE Sp. z o.o. S.K. Copyright © 2017 THAIGER NUTRACEUTICALS®. All rights reserved.